Here at the University of Redlands, the North Hall community promotes health and wellness. Upon learning about the critical water conditions and grave sanitation situation beleaguering the eastern and southern parts of the African countryside, the North Hall community believes it is in their power to incite change for the betterment of other people less fortunate, living in poorer conditions. That this is a noble cause worth pursuing and accomplishing in order to improve the mental, moral, and physical health of those who desperately need it. 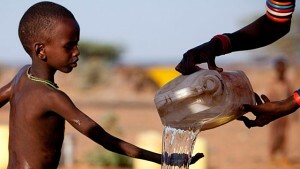 Together we hope to raise $15,000 with the help of The Water Project to create a well for a town in Africa. Such a measure will decrease the death toll caused by diarrheal maladies instigated by poor sanitation problems, increase school attendance and reduce violence for girls (seen as the primary water providers), and ultimately let people lead a life full of health and prosperity. Any donation no matter how small can change a life and help people fulfill their true potential. 08/30/16 Anonymous $206.11 Odd Job Industries Clientele.